Blockchain in Supply Chain Industry: How Well Do They Match? Blockchain can revolutionise the global supply chain. One of the most complex things humanity has ever created, over generations, making world trade possible, the supply chain runs on legacy technology and systems. It is beyond time that new technology was brought in to unlock efficiencies and create new opportunities. There are huge cost savings to be made, which could transform the shipping and transport industries. Beyond those, direct through to manufacturers, the global supply chain needs an overhaul. However, blockchain as a solution is somewhat misunderstood. Especially in traditional industries and those that are slow to change. One of the main stumbling blocks is a poor understanding of what blockchain is and what it can do for companies. Unfortunately, the noise and hype surrounding cryptocurrencies as an investment asset class is one reason for this. It can be easy for those outside the industry to see blockchain and bitcoin as one and the same. And then in 2017, Initial Coin Offerings (ICOs) made numerous headlines around the world. Too many of these were scams, or a valiant attempt to create something that proved too difficult or had no application in the real world, leaving the money spent and investors fleeced. In reality, none or very little of that matters or is applicable to blockchain applications in the supply chain or any other sector. 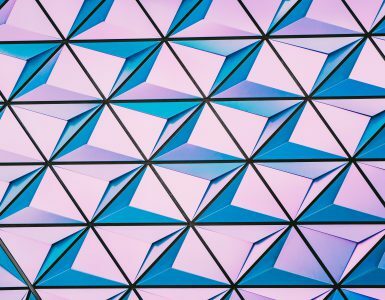 Before we look at the how blockchain can be applied in a business setting, we should briefly cover what blockchain is. Blockchain is a way of securely recording an accurate and unbreakable ledger of transactions and contracts. With legacy technology and even modern software solutions – unless everyone is logged into the same real-time cloud-based system – every organisation has their own version of the same information. Keeping data in silos. Sharing this data is difficult because each organisation has its own data management system, way of recording that information and storage methods. Instead, with blockchain those records are maintained on a single, shared, tamper-evident digital ledger. Every transaction on this ledger is stored and transmitted using cryptographic encryptions, making the blockchain more secure than other methods of transmitting and storing data. Transactions and records can’t be deleted. Because everyone can see the same information, there is no risk of a misunderstanding or fraud. Every record is secure and each transaction is recorded with a time stamp and metadata, making it easier to verify who’s seen the information. Beyond that, Blockchain is seen as a way of unlocking new value, streamlining existing processes and reducing risk. In the global supply chain, these applications are badly needed to reduce operational costs and improve security. 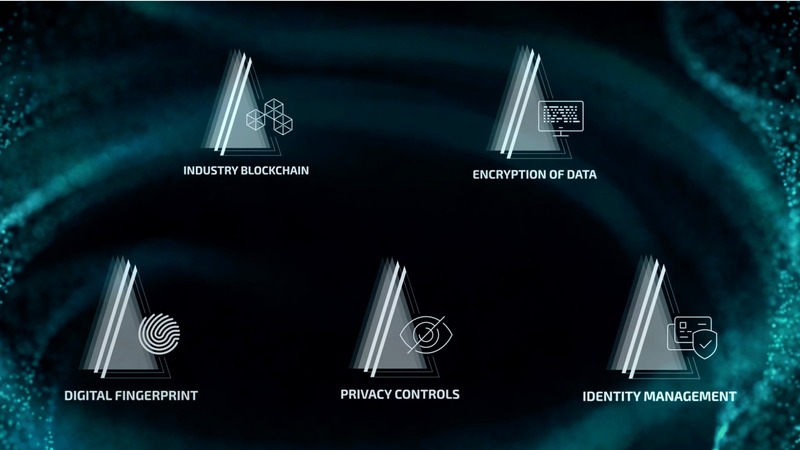 Numerous sectors are already benefiting from blockchain innovations. 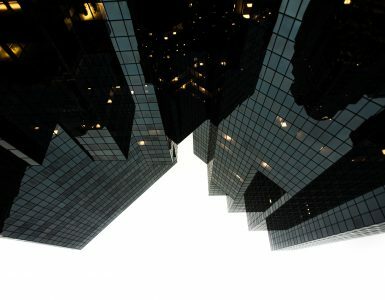 In the financial services sector, for example, a global consortium of top-tier banks have formed R3, a technology partnership behind the Corda blockchain. Banks need more secure ways to move money around, to reduce the cost of the settlement process and international transfers. Banks have therefore been quick to embrace blockchain. It is estimated that blockchain can save the financial sector $35 billion annually in capital and operating expenses. Other ways banks are keen to use blockchain is in the secure transfer and storage of data. 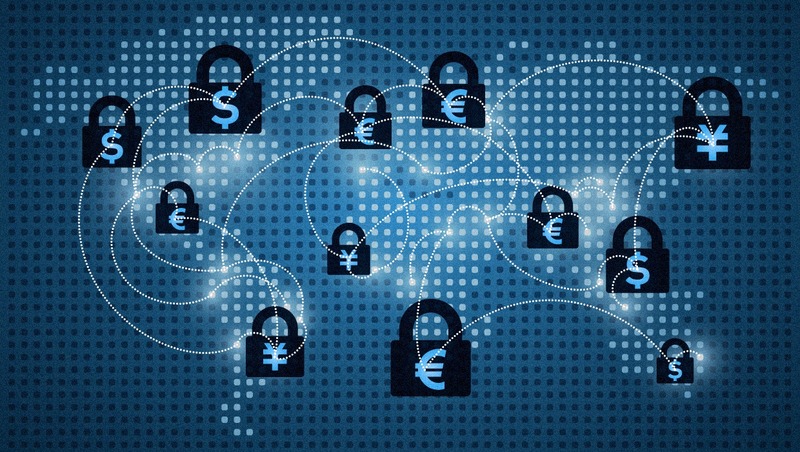 In the global supply chain, making international transactions, contracts and the transfer of data more secure would produce enormous benefits, comparable to those the financial sector is already looking at. Can blockchain be applied in the supply chain? Yes, it can, and it is already being applied in practice. Maersk and IBM are already working together to implement cross-border, cross-party transactions that are more secure and easier to verify than they can be with paper-based systems and emails. At present, when companies are shipping anything anywhere in the world – which is how 90% of goods are transported – it involves numerous phone calls, emails and even documents sent in the post to book a shipment, and then more paperwork at the other end to verify delivery. Shipping is a time-consuming process, and despite the many roles technology plays in the shipping industry, the process to book and pay for those shipments is still largely antiquated. Whereas, if blockchain technology were to play a role, it would take far less time and there would be less room for fraud and theft or shipments to go missing. Everything would be more secure and the contents of containers could be verified from pickup to delivery. The global leader in mining, BHP Billiton is also using a blockchain solution to verify samples from a wide range of suppliers around the world. Making it easier to trust the accuracy of the sample information helps them work with suppliers more effectively and reduce the cost and impact of poor quality mining batches and the delivery of contracts. Another way this is being applied is in the global supply chain of the U.S. retail giant, Walmart. Like many supermarket chains, Walmart works with suppliers all over the world. Consumers place an enormous amount of trust in the food it sells. Mistakes or poor quality products can damage reputations and even the lives of customers. So Walmart is going to great lengths to guarantee trust is baked-into supply chain relationships. Using a blockchain-based system, Walmart is tracing the supply of pork from farms right through to delivery centres and individual stores. This way, Walmart can authenticate transactions and the accuracy and efficiency of record keeping. Blockchain supply chain management is not theoretical or some future dream. It is already happening, already playing a role in how products move around the world, from cars to cocoa beans, pork to pro golf equipment. Another real-world application that is already in progress is the management of databases. 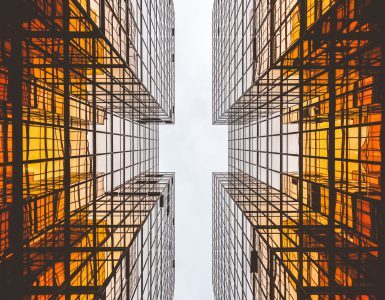 Blockchain can solve many of the problems companies have with databases. Managing databases is expensive. Making sure the information within them is transferable and can be shared easily is even more expensive. Often, data scientists are hired to solve problems and unlock new value, and instead, they spend up to 80% of their time cleaning data, doing the equivalent of big data janitorial work. When data sits in silos and is difficult to transfer, it costs money. Probably more than most people realise. IBM estimates that in the U.S. alone, the cost of bad data – messy, inaccurate, unclean – is $3.1 trillion. Across the world, the cost of ‘bad data’ is even more, and this impacts the supply chain. Even companies that are working together experience a data mismatch, which costs time and money. All of those concerns almost disappear when data is shareable by design. Shared decentralised databases are more cost-effective, more accurate and easier to manage. It would solve a lot of problems in the supply chain, as we are already seeing amongst companies already putting blockchain technology into practice. The team are creating a Value Internet of Things (VIoT) that will make it easier to trace shipments and the movement of goods around the world, from dispatch to delivery. Unlike other companies in this space, OriginTrail is already working with companies in the global supply chain around the world. Companies can join the Trace Alliance to connect supply chain systems to the blockchain and make them more secure. There are already 50 members of this alliance and over 200 companies starting to adopt OriginTrail solutions in the food, FMCG, logistics and laboratories sectors. In the world of fake news, it is easy to forget that fake goods have been around an awful lot longer. 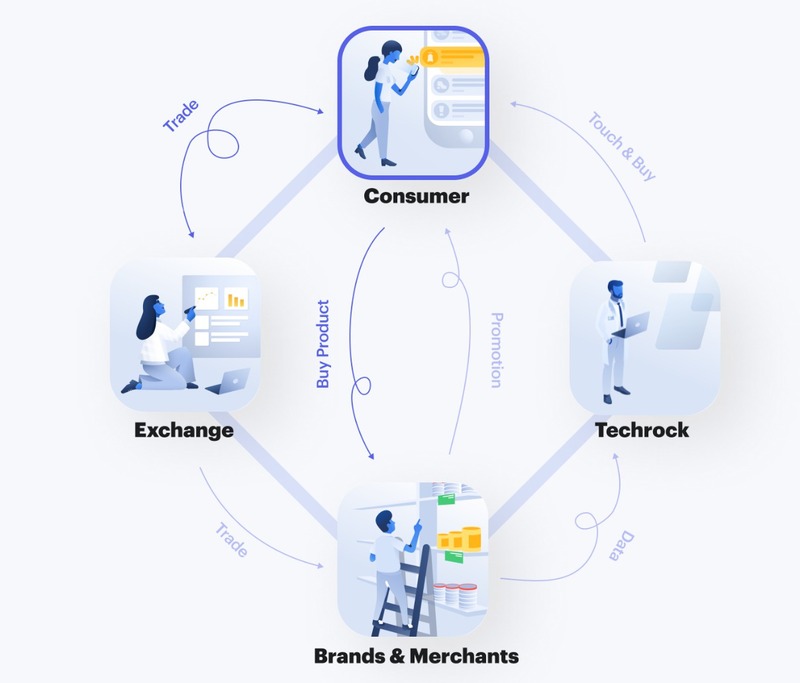 Tael aims to solve that problem, using a digital token built on the Techrock ecosystem to verify the authenticity of products and therefore give customers rewards for buying real goods instead of fake products that take billions of dollars out of the legitimate economy. De Beers, one of the world’s oldest and largest diamond companies, responsible for “one-third of the global supply of diamonds by value” is using blockchain technology to successfully trace and monitor the flow of diamonds through the supply chain. It has created an open platform where every diamond company and player in the market can track and trace diamonds from mines through to manufacturers and shops. Created by an interdisciplinary team from MIT, Wharton and Boston College. It is new blockchain-based system that has the potential to disrupt the global supply chain. B_verify “brings greater transparency to a key part of the supply chain, which can have a big impact on global trade financing. B_verify introduces a series of blockchain technology innovations tailored to facilitate supply chain finance and operations management.” In particular, it is designed for the developing world, making it easier for small and medium-size enterprises to secure financing based on the movement of goods, invoices and it can also reduce the risk of theft and warehouse deposit fraud. One of the core challenges this deals with is providing finance for SMEs that are responsible for 50% of global employment and a third of GDP. And yet, these companies always struggle to get finance compared to larger firm’s. The World Bank estimates that there is a funding shortfall of $2.6 trillion, which B_verify hopes to solve. One way that is making an impact in the supply chain is using the PoET (the proof of elapsed time) consensus algorithm to determine whether fish can enter the supply chain and make it the shops on time. Although it has many other uses, in the supply chain and many other sectors, this is an innovative use of an algorithm to consider. Bext360 is designed to create transparency in the supply chain. 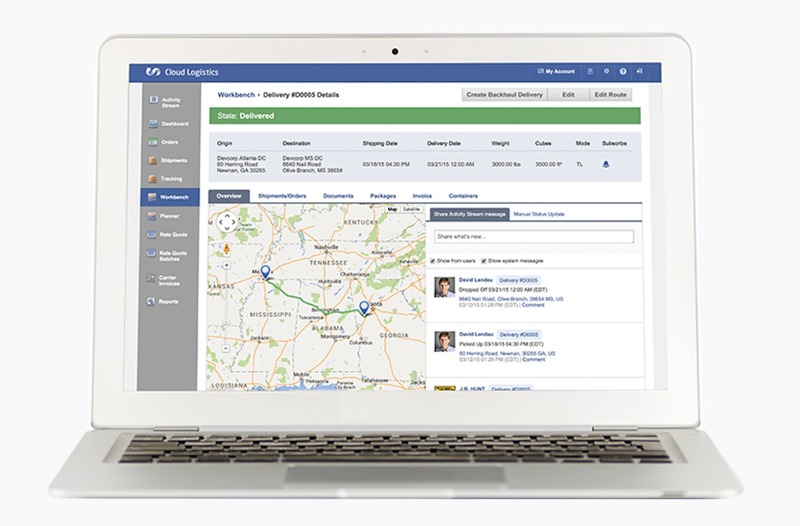 Bext360 provides comprehensive and measurable accountability for critical supply chains. The SaaS platform provides unsurpassed blockchain traceability and quantifiable measurements for sustainability. As we can see, blockchain is already making quite an impact in the global supply chain. 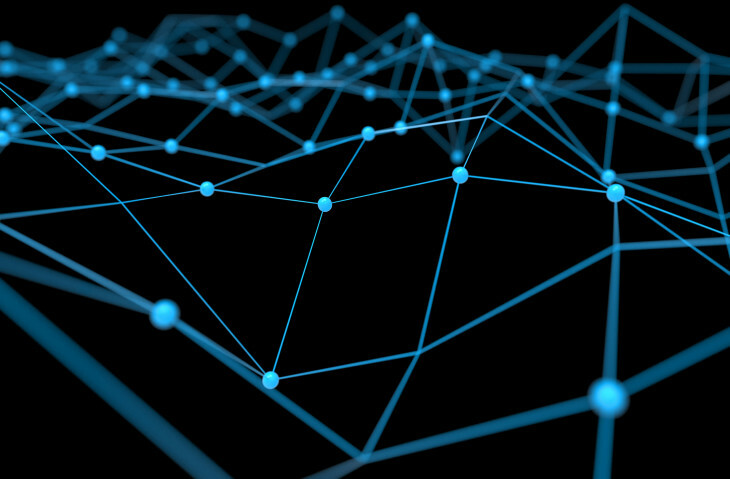 Companies in a wide range of industries are using blockchain to verify transactions, shipments, track goods, even create opportunities to increase funding. It will be interesting to see where we go from here and other uses of this technology.